Tech O Blog : Chrome and Google : Best together ! Chrome and Google : Best together ! More chances that you know Google Chrome as it is one of the most popular and modern web browser available in the world. This time it's time to look deep at how Google uses Chrome. Since the launch of Chrome, Google has invested a lot of fortune in it trying to make it one of the better browser. They have succeeded in it. The Stats show it. Keeping the browser simple and slick made the trick for Google as the users liked the new fast yet simple browser a lot. 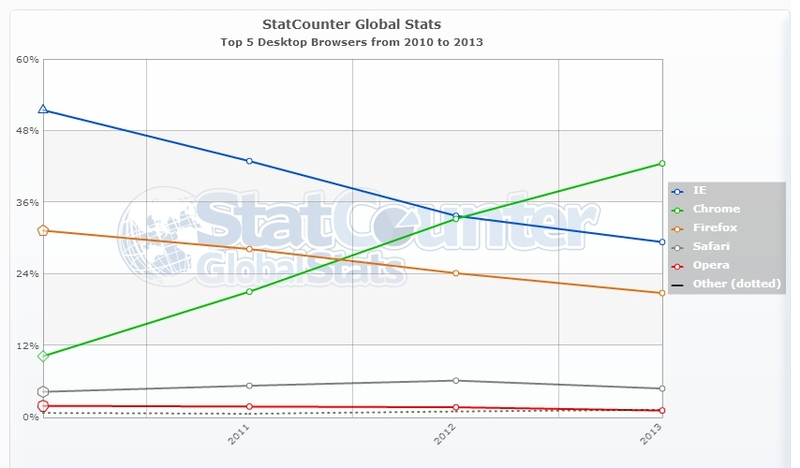 Chrome revolutionized the browsers after Firefox which was getting fat after competing with old IE. Let me not go deep inside the history of browser ! Chrome as it looks is a promising browser with it's own style and features which is powered by the open-source Chromium browser which was released by Google for developers. Google is taking hold of Chrome's popularity for their own services. Google services are made to work the best with Chrome and Chrome OS is slowly coming up which shows that Google have understood that a browser is the Operating System of the web and Chrome is developed with this idea in their mind. Google uses Chrome to make users win as well as themselves. Chrome generates a good amount of revenue for Chrome. Most of them from the search ads and also Chrome runs Gmail Offline and other Google services which are in-built inside Chrome. Google is getting serious when it comes to Chrome and the future of Chrome remains promising. Google's aim with Chrome is to offer a better web experience for all the users across multiple devices. I am a happy camper with Chrome as it helps me to get most out of the web without any hiccups. Chrome has matured right from day one and it's improving always ! Google Chrome is the best. I like it's simplicity & the way it renders webpages. I am using Chrome browser since 2010. It's a great platform. Chrome is really fast and stable.. I have been using it since 2011. I tried all the other browser but Chrome won for me :) Webstore is awesome ! Even i like the Webstore !